Helen Kamenos has been an educator for over 26 years. She graduated from California State University, Northridge with a Bachelor of Arts in English. Subsequently, she earned her Master’s Degree in Educational Leadership. She served as a middle school teacher, high school counselor, and principal of a private school. She dreamed of writing a book one day, but never imagined she would write a book about God. Throughout Helen’s life, her passion for learning and her fervent Orthodox Christian faith have always guided her toward seeking a greater understanding of God. When she faced several years of life-changing challenges, including a battle with cancer, Helen sought the comfort of her faith. This pursuit led to an in-depth study of the Beatitudes, which set her on a journey of discovery. In the process, she experienced Christ in a more personal and intimate way. This extraordinary journey provided her with a deeper understanding of God and His divine love. 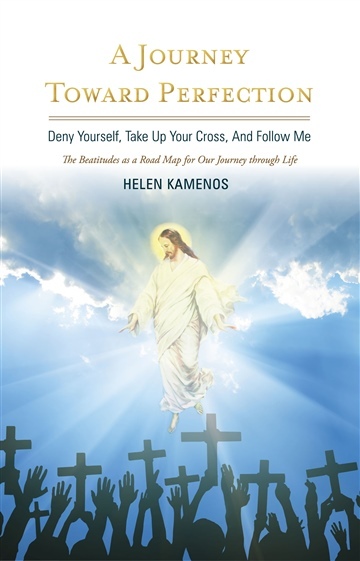 In A Journey Toward Perfection, Helen shares her new found insights of living the Christian life by following in the footsteps of Christ and participating in a real, experiential relationship with our Creator.